Thank you for submitting your score sheet! 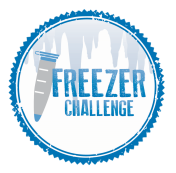 Congratulations on completing the inaugural North American Laboratory Freezer Challenge! Be on the lookout for updates on winners, prizes, and more starting in mid-May.